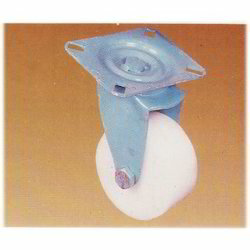 We are a leading Manufacturer of wheel with swivel castor, wheel with bearings, extra thickness wheels, wheel with bush and wheel with fix castor from Nagpur, India. Avail from us a wide range of swivel castor wheels at market leading prices, suitable for heavy material handling purposes. 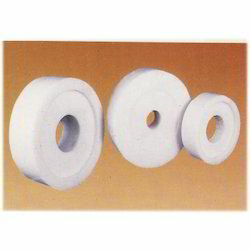 These comprises international quality standard Bearings and Wheels. The offered range of equipment is known for features like high load bearing capacity, precision engineering, longer service life and optimum tensile strength. 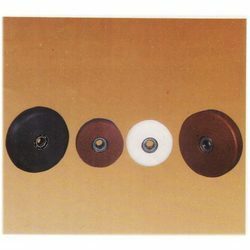 We are the prominent manufacturer and supplier of a broad assortment of Wheel with Bearings. Offered product is very good resistance at minus temperature as well as high temp. Our product is manufactured by professionals using high quality material and advanced techniques in fulfillment with prevailing market trends. Clients can avail this product from us at competitive price. High impact resistance & flexural strength. Very good resistance at minus temperature as well as high temp. Excellent chemical resistance workable in hydrochloric acid, alkalies & chemicals. Self lubricating, can be used with or without bush and bearings. Easy fitting can be used by direct fitting on shaft. Unaffected by water, oil, dyes, pigments, soda, fertilizer, cement etc. Does not require extra accessories like nut-bolt & flanges. Homogenous one piece construction in all. Available sizes 1' dia 10 24' dia & 3/4 to 6'thickness. Lighter & longer life than rubber & conventional wheels. Leveraging on our competent professionals and wide experience, we are engaged in manufacturing and supplying Extra Thickness Wheels. The offered product is developed with the help of top quality material and modular techniques in compliance with set industry standards. This product is made obtainable in number of specifications for our customers to choose from. Clients can avail this product from us at nominal price in a stipulated time. 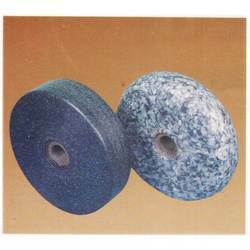 Being a quality oriented firm, we are engaged in manufacturing and supplying the best quality Wheel with Bush. This product is available in different specifications as per the needs of customers. Our offered product is self lubricating, can be used with or without bush and bearings. The offered product is manufactured under the supervision of experts utilizing superb quality material and advanced tools in adherence with prevailing market trends. Supported with rich industry experience, we are engaged in manufacturing and supplying Wheel with Fix Castor. This product is lighter & longer life than rubber & conventional wheels. Our offered product remains in great demands across the industry due to its excellent quality. We manufacture this product using sophisticated techniques and high quality material in adherence with the set norms of industry. Looking for Textiles and Spinning Mills Products ?